Teens in grades 7 - 12 : Join us for pizza and a movie! The movie will be determined at the previous month's program. 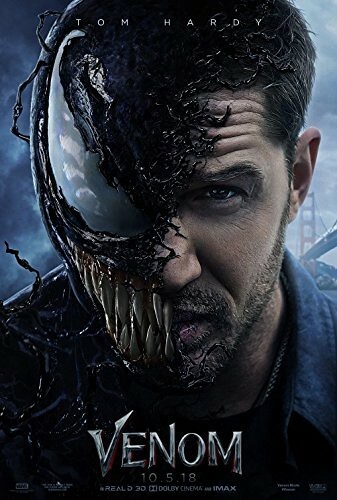 This month, check out "Venom" Starring Tom Hardy. From IMDB: When Eddie Brock acquires the powers of a symbiote, he will have to release his alter-ego "Venom" to save his life.